Travelers' Tales Guides, 9781609521233, 352pp. For ten years the editors of Travelers' Tales have run a writing competition to find the best travel story of the year: The Solas Awards. Over those years, thousands of stories have come across their desks, from writers famous and unknown, covering all corners of the globe with stories of adventure and discovery, love and loss, humor and absurdity, grief and joy. 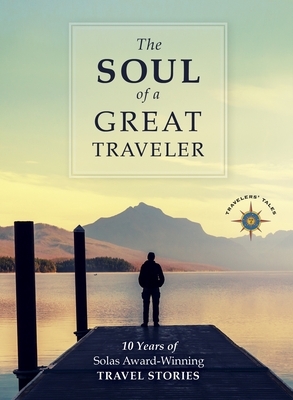 In this collection appear all of the top prize winners of the last ten years, stories that bring readers along for journeys that are inspiring, uplifting, and, very often, transformative. These tales are powerful, moving testaments to the richness of our world, its cultures, people, and places. James O'Reilly, publisher of Travelers' Tales, was born in Oxford, England, and raised in San Francisco. He's visited fifty countries and lived in four, along the way meditating with monks in Tibet, participating in West African voodoo rituals, rafting the Zambezi, and hanging out with nuns in Florence and penguins in Antarctica. He travels whenever he can with his wife and their three daughters. They live in Leavenworth, Washington and Palo Alto, California, where they also publish art games and books for children at Birdcage Press (birdcagepress.com). Larry Habegger, executive editor of Travelers' Tales, has visited more than fifty countries and six of the seven continents, traveling from the Arctic to equatorial rainforests, the Himalayas to the Dead Sea. In the 1980s he coauthored mystery serials for the San Francisco Examiner with James O'Reilly, and for thirty-one years wrote a syndicated newspaper column, World Travel Watch. Habegger regularly teaches travel writing at workshops and writers conferences, is a principal of the Prose Doctors (prosedoctors .com), and editor in chief of Triporati.com, a destination discovery site. He lives with his family on Telegraph Hill in San Francisco. Sean O'Reilly is editor-at-large for Travelers' Tales. He is a former seminarian, stockbroker, and prison instructor who lives in Virginia with his wife and three of their six children. He's had a lifelong interest in philosophy and theology, and is the author of How to Manage Your Destructive Impulses with Cyber Kinetics and Authority. He is also CEO and founder of the Auriga Distribution Group, Johnny Upright, Fifth Access, and Redbrazil.com, a bookselling site.